The American Health Council is proud to recognize Kathleen Mau, DNP, APRN, ACCNS-AG, ACNS-BC, CEN as “America’s Best Nurse” for her outstanding contributions to the nursing field. As the Sr. Director of Nursing Education for the Cleveland Clinic, Dr. Mau has oversight over nursing professional development and nursing students and faculty seeking clinical experiences within the Cleveland Clinic Health System. In her prior role as a clinical nurse specialist and stroke program manager at Cleveland Clinic Medina Hospital in Medina, Ohio, Dr. Mau ensured that the hospital’s stroke program functioned appropriately so that every patient received high quality, evidence-based care. Dr. Mau has spent an impressive 27 years in the healthcare industry molding and expanding her skills in emergency nursing, stroke care, and medical/surgical nursing. While she originally intended to pursue a career in elementary education, Dr. Mau was introduced to healthcare while working as a pharmaceutical technician in high school. Although she enjoyed working in a pharmacy, she realized that her position as a pharmaceutical technician lacked patient interaction. She quickly decided to become a bedside nurse to interact with patients. She enrolled at the Cleveland State University and earned her bachelor’s degree in 1990. After taking a lengthy break from her academic pursuit, she enrolled at the University of Akron and earned a master’s degree in 2011. She then attended Chamberlain College of Nursing and earned a Doctor of Nursing Practice degree in 2015. Launching her career at MetroHealth Medical Center in Cleveland, Ohio, Dr. Mau first provided nursing care for patients in need of acute medical rehabilitation for stroke and amputee services. In 1995, she transitioned to a staff nurse position at Medina Hospital’s medical-surgical and telemetry units and in 2000 she joined the Emergency Department staff. After spending ten years as an emergency nurse and four years as a critical care educator at the hospital, Dr. Mau became the facility’s clinical nurse specialist and stroke program manager. Managing the hospital’s stroke program involved preparing The Joint Commission Primary Stroke Center Certification survey, performing improvement activities and data analysis. As a clinical nurse specialist, Dr. Mau used evidence-based practice to create positive change through nursing program development and process improvement. Additionally, Dr. Mau advocated for nurses and nursing practice as the Pathway to Excellence coordinator and as facilitator for several shared governance committees. In February, 2018, Dr. Mau assumed the role of Sr. Director of Nursing Education for the Cleveland Clinic. With an impressive repertoire at hand, Dr. Mau played a critical role in developing an EMR-enhanced early warning system for non-critical care nursing units called VitalScout, as well as developing a mass-casualty plan for the emergency room. She was an active member of Medina hospital’s emergency management, incident management and hospital emergency response teams. Her passionate efforts to improve hospital functions earned her several honors and recognitions. The VitalScout Team, in which she served as clinical lead, was awarded the HIMSS Nicholas E. Davies Award of Excellence in 2017 — an award given to an organization in recognition of excellence for healthcare technology innovations that improve patient outcomes. She also received the Innovator Award in 2016 from the Cleveland Clinic, the Distinguished Alumni Award from Chamberlain College in 2015 and the Lifetime Achievement Award from the Cleveland Clinic in 2014. Cleveland Magazine and the Greater Cleveland Nurses Association awarded Dr. Mau with the Faces of Care Award in 2011, and she received the Cameos of Caring Award in 2010. In addition to an impressive list of accolades, Dr. Mau served as the chief nursing officer for the Boy Scouts of America National Scout Jamborees in 2010 and 2013. In this role, Dr. Mau served as part of the senior medical leadership team, which was responsible for developing and implementing the medical services plan to provide medical care for over 35,000 attendees during the 10-day event. She was instrumental in creating the first nursing leadership structure for the Boy Scouts of America, and wrote the nursing operations plan, nursing job descriptions and policies. 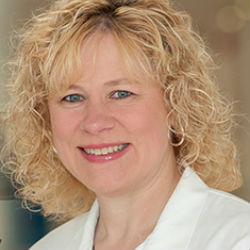 To continue to share her knowledge with fellow professionals in the healthcare industry, Dr. Mau is a member of several associations, including the Academy of Medical Surgical Nurses, the National Association of Clinical Nurse Specialists, the American Association of Critical Care Nurses, the Sigma Theta Tau International Honor Society and the Boy Scouts of America National Health and Safety Committee. Her charitable demeanor shines in her personal life as she is a board member and secretary of the Medina Hospital Foundation. She also serves as a board member of the Boy Scouts of America National Health and Safety. In her free time, she enjoys traveling, reading, attending theater productions and hiking. She plans to continue to excel in her career and hopes to expand VitalScout to different practice settings and develop a research team to study its impact. The doctors who founded Cleveland Clinic, drawing from military medicine, believed in diverse specialists working and thinking as a unit. This kind of cooperation, efficiency and shared vision has fostered excellence in patient care, research and education. With than 10,000 corporate participants and other stakeholders from more than 130 countries, it is the world’s largest voluntary corporate citizenship initiative.